I could analyze his impact on sport and entertainment, on sports in and as pop culture, on Scott’s infusion of hip-hop and other forms of “being Black” on the Seinfeld-esque SportsCenter. I could also talk about race and sports and Scott more broadly, and how Scott’s style may have taken some of the edge off of the everyday racial undertones that are so clearly a part of college and professional sports in the US. I leave that for people who are more expert on sports and sports journalism in popular culture than me. At least for now. I have an dear old friend whom Scott always reminded me of when I watched SportsCenter or when Scott hosted NFL or NBA shows on ESPN. My friend Marc, whom I’ve talked about before on my blog, whom I’ve known now for nearly twenty-seven years. 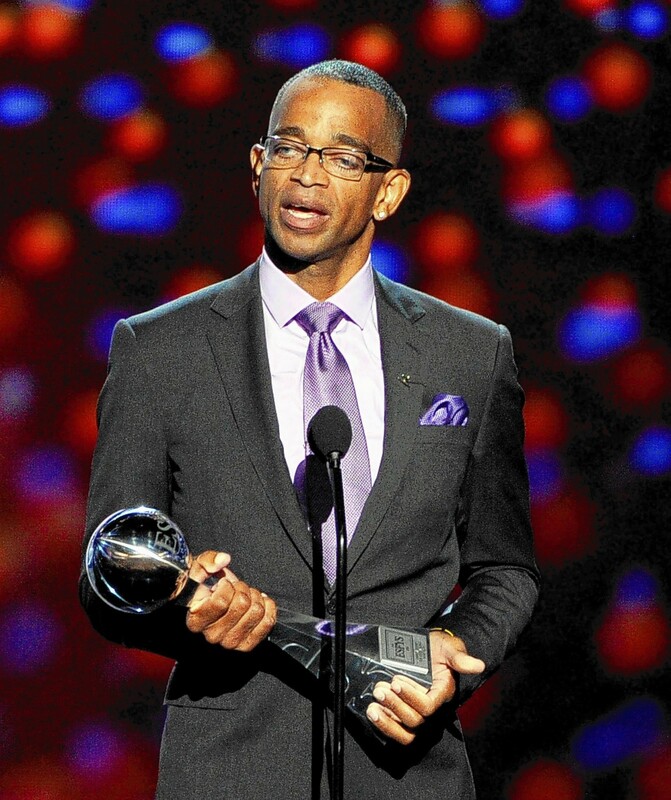 I’ve often thought over the years, if Marc did TV instead of writing or print journalism, he’d be Stuart Scott. I’m not sure if Marc would take this as a compliment or a criticism, but for me, it’s definitely the former. But so many bouts with cancer over the course of a decade would be dire for anyone. I feel for Scott’s daughters and girlfriend and ex-wife, for his extended family and friends, and for a sports world without someone that positive, someone on the presentation side with serious dap. Here’s to you, Mr. Scott, one more voice of “Boo-yah!” to add to the mix.